Watershed Education for Decision Makers is a field-based education program that aims to improve elected officials’ knowledge of natural resource management issues and solutions. 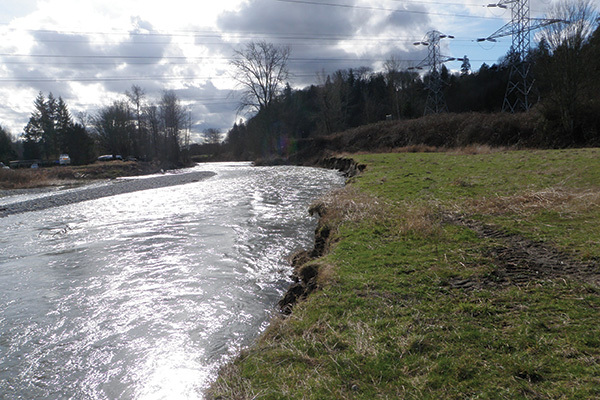 The objective of the program is to connect city council members, mayors, county council members, and state representatives with local resources to provide understanding of how their decisions impact water quality and salmon recovery, which will improve natural resource conservation and protection. Participants visit a variety of sites including impaired habitat sites, active restoration sites, completed restoration projects, and intact sites. The curriculum is highly customized to be relevant to the place and to the person (including local data and figures). Program development began in 2014 when SSS conducted interviews with local stakeholders, organizations, and elected officials. Through their input, the curriculum was designed to be locally informed, audience relevant, concise, and engaging. The mission of Sound Salmon Solutions (SSS) is to ensure the future of salmon in the Stillaguamish, Snohomish, and Island County watersheds.